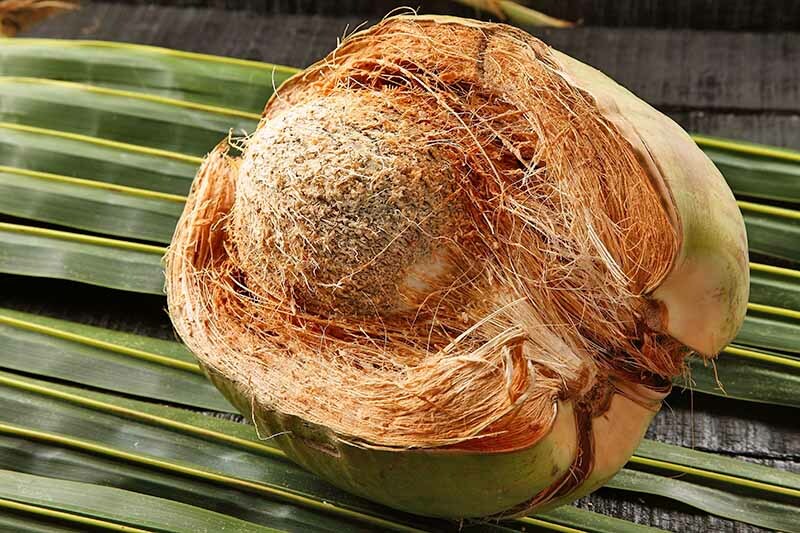 Coir is the fibrous husk and pithy dust that makes up the outer layer of a ripe coconut. 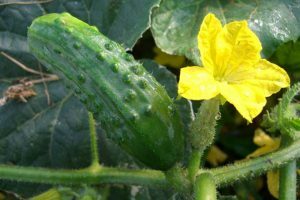 Most of us don’t see this part because it’s removed before the fruits arrive in grocery stores, but it is widely available – as a soilless growing medium. Most comes from India and Sri Lanka, where the coconut palm, Cocos nucifera, grows plentifully. 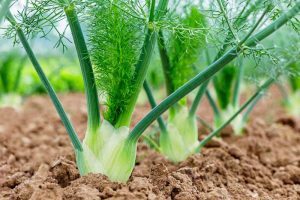 Let’s find out how it’s processed, what products we can buy, and the pros and cons of using it in our gardening. Since ancient days, the sturdiest coconut fibers have been used to fashion articles like baskets, mats, ropes, and bedding. 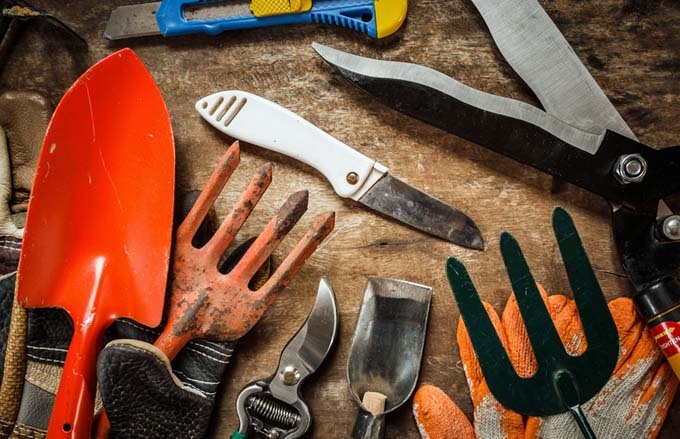 The remaining smaller fibers and pithy dust were once thrown away, but today are used to make a host of horticultural products including loose peat, seed starter discs, dehydrated bricks, mulch chips, planter liners, molded pots, and climbing poles. Quality varies due to the differing processing methods, length of pre-production storage, and human handling the husks undergo before reaching the marketplace. Fruit may be picked ripe or unripe, after which it is removed from the husk and sent off to market. Husks, fibers, and rope are part of an age-old manufacturing process. Meanwhile, the husks undergo a process called “retting,” in which they are soaked in either fresh or salt water. 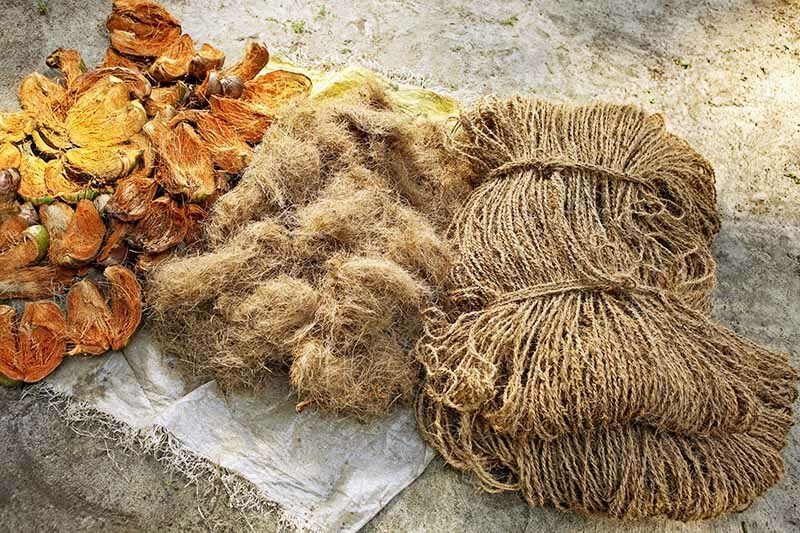 After that, the longest, first-quality fibers are extracted, and the remaining small fibers and pith are collected and allowed to partially decompose. When these remainders reach a suitably friable consistency, the best pith goes into making coco peat, the lesser dust and small fibers are compressed into discs and bricks, and the largest chunks become mulch. 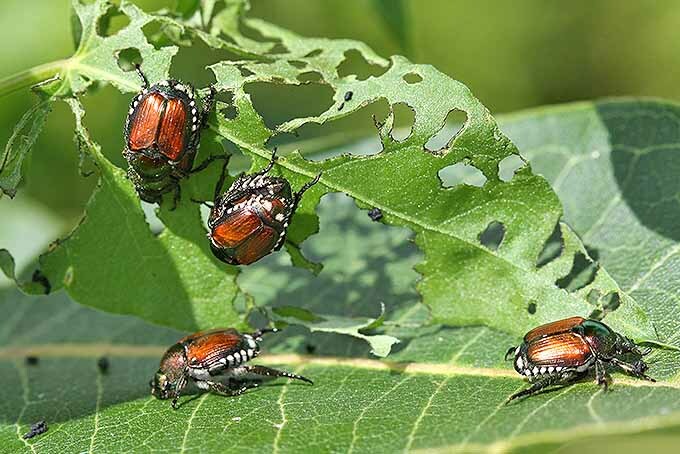 Reputable manufacturers often treat their products to inhibit weeds, pests, and disease. They also buffer it to counteract potassium and sodium, elements that may inhibit the uptake of essential magnesium and calcium. And, some go so far as to add micronutrients such as copper and iron. 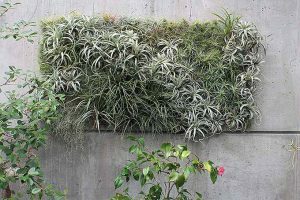 It’s a spongy, soilless growing medium that may be added to soil or potting media to increase moisture retention, drainage, and aeration, much like peat moss, perlite, or vermiculite. 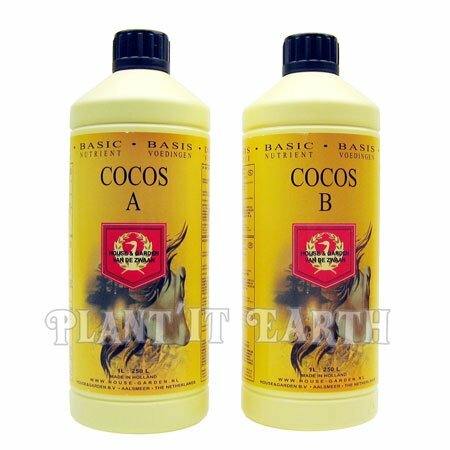 In addition, coco peat supports strong root growth and is often used to start seeds and grow hydroponically. 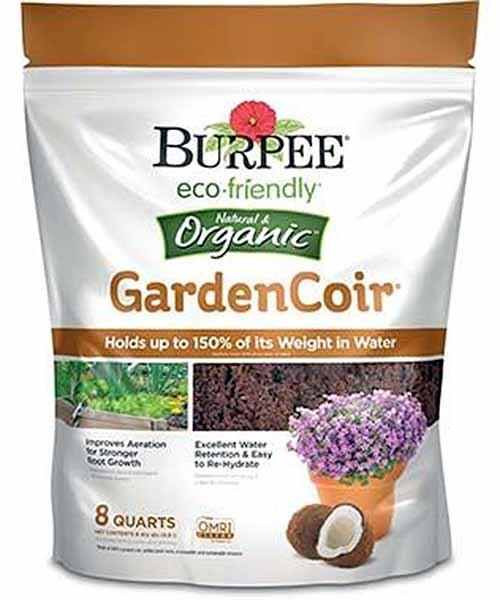 Garden Coir by Burpee is available in 8-quart bags directly from Burpee. It contains 100% coconut coir in a crumbly form like peat, and holds up to 150% of its weight in water. 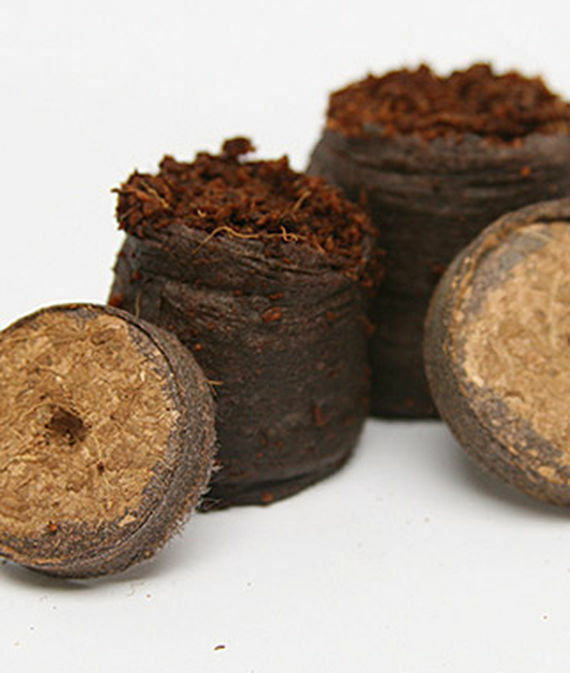 Coco peat is packed into discs for use as a seed starting medium. 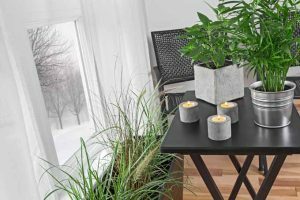 This soilless medium supports healthy root growth while retaining moisture, draining well, and providing good air circulation. 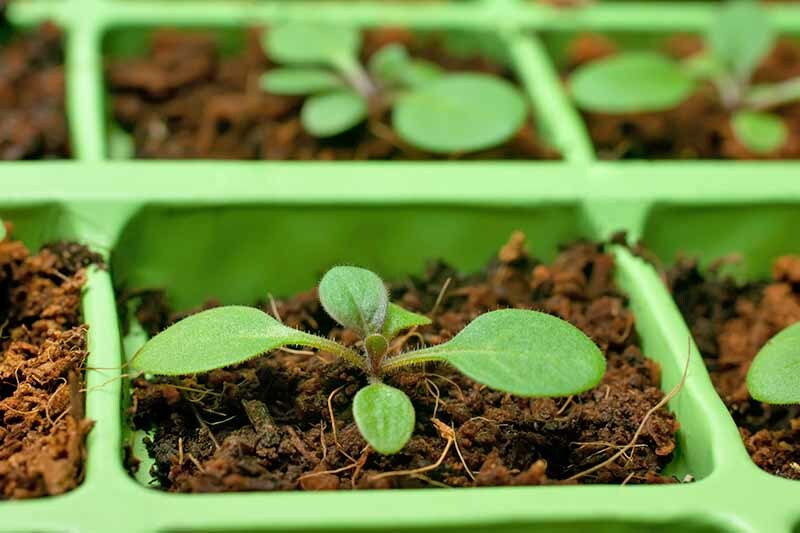 Start seeds indoors or out, and place directly into the ground when seedlings are ready. 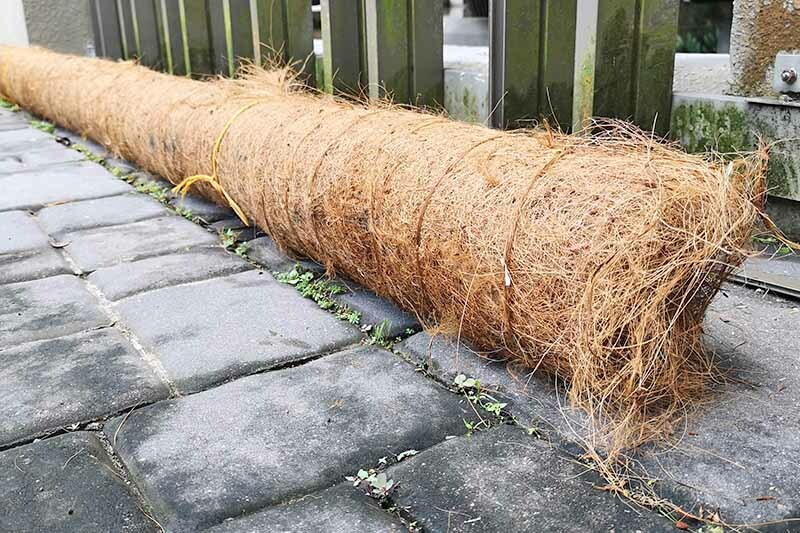 Netted Coir Pellets are available from Burpee in 36- and 42-millimeter sizes, and various quantities of each. 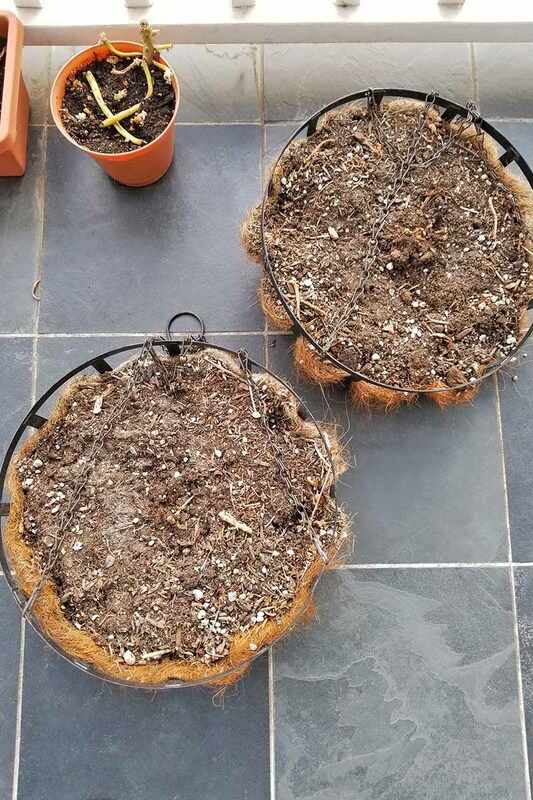 These pots contain coir and potting soil. Just add your seeds, a little water, and bam! – they grow into 2-inch pots. Small fibers and dust are compacted into hard bricks that require soaking before use as a soilless growing medium or soil amendment. Sizes and shapes vary from large rectangles to small discs. They require hydration. When water is added, they expand, absorbing approximately nine times their weight in water. 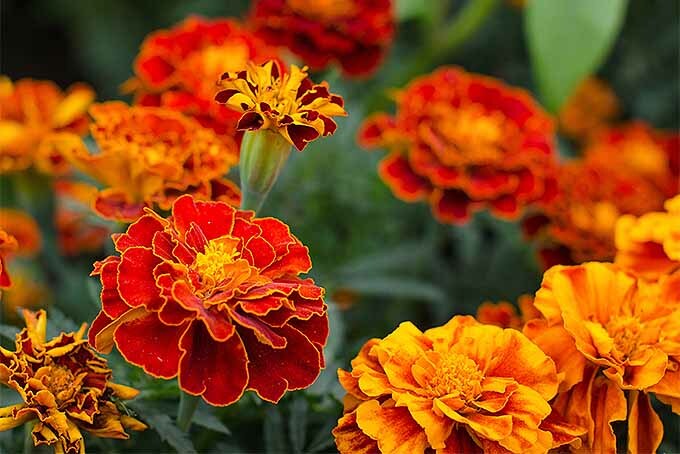 At maximum saturation, you have a crumbly, peat-like mixture that’s ready for containers or gardens. 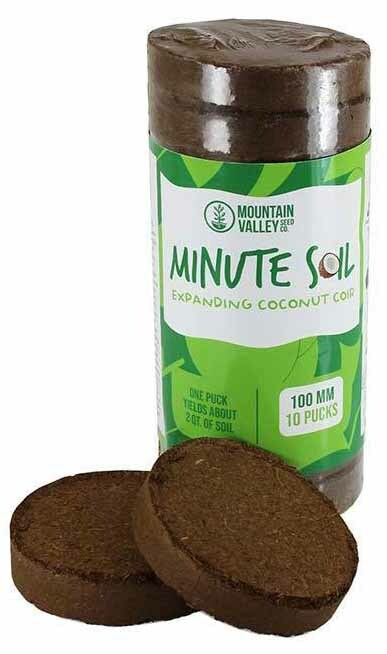 Mountain Valley Seed Company’s Minute Soil Compressed Coco Coir Fiber Grow Medium is available from True Leaf Market. 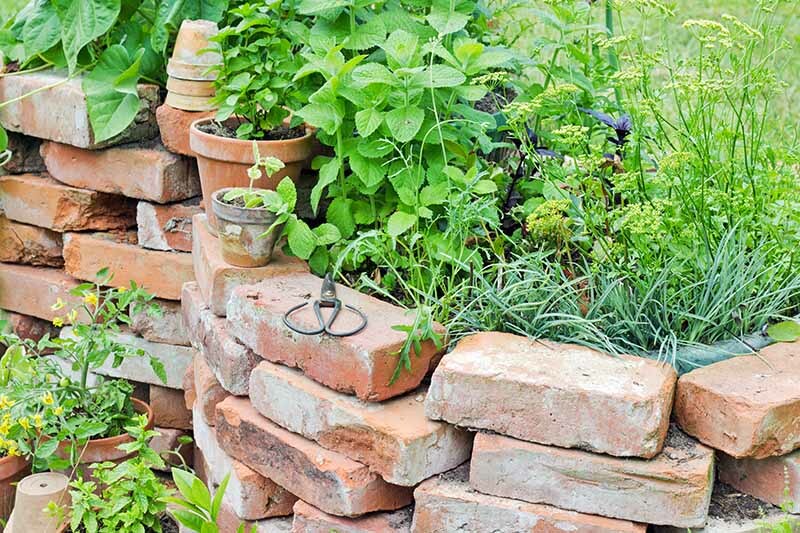 Package and puck sizes vary, but 3 of the large bricks will provide you with a total of 4.5 gallons of potting medium. Other products are coarser in texture. Mulch chips looked like cubed husks. 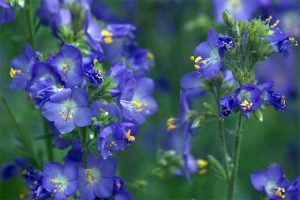 Use them in the garden to increase moisture retention, inhibit weed growth, and provide an aesthetically pleasing appearance. Chips are also used as support for the roots of tropical plants like orchids, because they drain well and allow for ample air circulation. 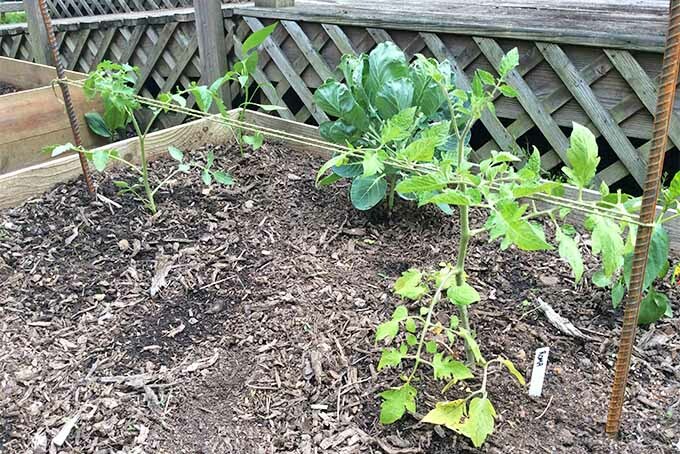 Mulch chips like the ones pictured above are available though eCommerce channels such as Amazon, but it’s probably better to search your local garden center or big-box store for a similar product if you need it in large quantities. Unless you need to fill just a few containers, shipping is going to be prohibitively expensive or the product will likely be marked up high enough to cover shipping costs. 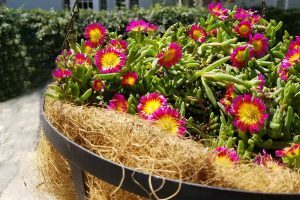 Planter liners are also on the coarse side, with a fibrous, woven texture, rather than a spongy, peat-like one. 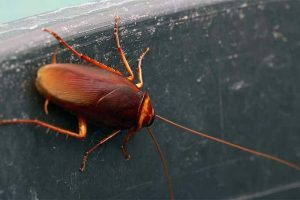 They come in sheets, by the roll, or pre-shaped to fit containers of various sizes, like window boxes and wire planters. 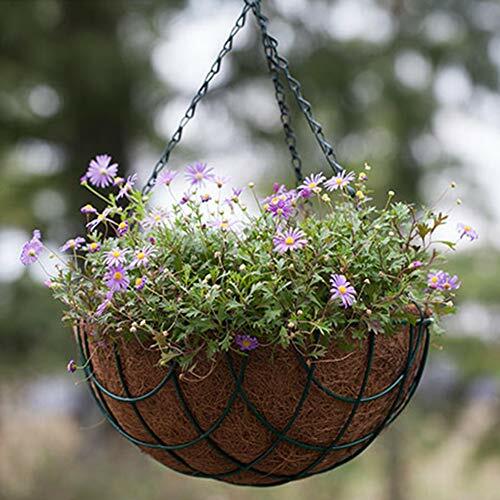 Another option, G-LEAF’s Garden Hanging Planter Baskets, comes with with coco coir liners. These come in sets of 4, in 10-, 12-, and 14-inch sizes. 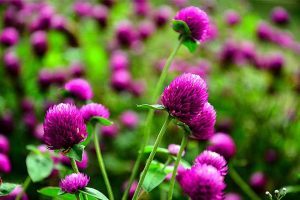 Like peat pots, the coir variety is made of fibers that have been pressed into flower pot shapes. 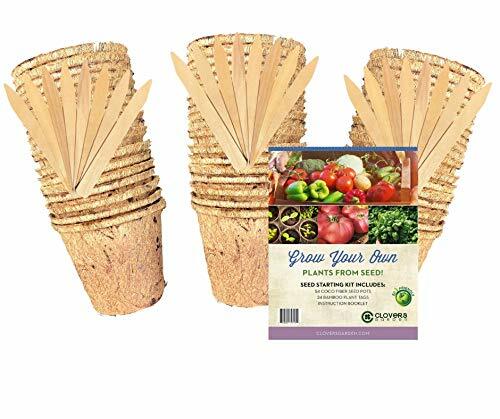 They are useful containers for starting plants because they retain moisture, drain well, and allow air to circulate. Put them directly into the ground when you’re ready – they biodegrade. You may also use coir pots as inserts for ceramic pots. Their water retention counteracts the rapid drying out typical of terra cotta and other porous containers, especially during hot weather. 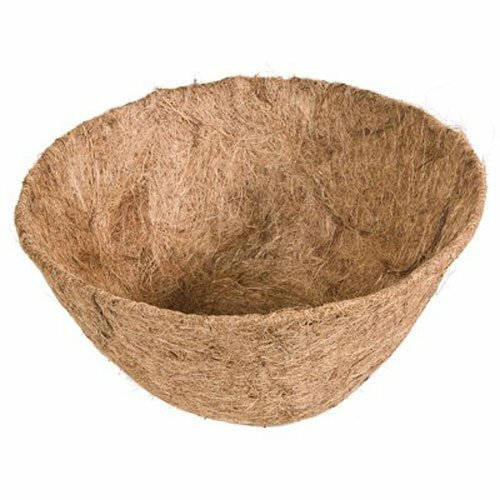 Self-Watering Planter Pots with Coconut Coir Fiber are available from Amazon. 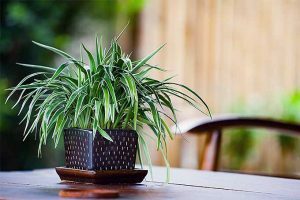 Choose one 7-inch pot with two compact coir discs, or a set of three pots with six discs, in red, blue, green, orange, or white. 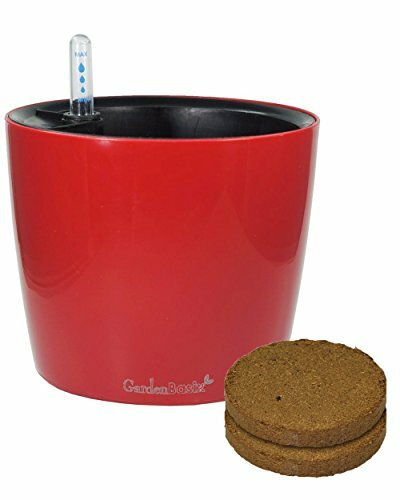 A water level indicator in each pot lets you conveniently monitor moisture. Vines and climbers often need support when grown in containers. Coco poles consist of twine-wrapped fibers on a stick. When placed in planters, vines readily cling and benefit from the extra moisture in their environment. 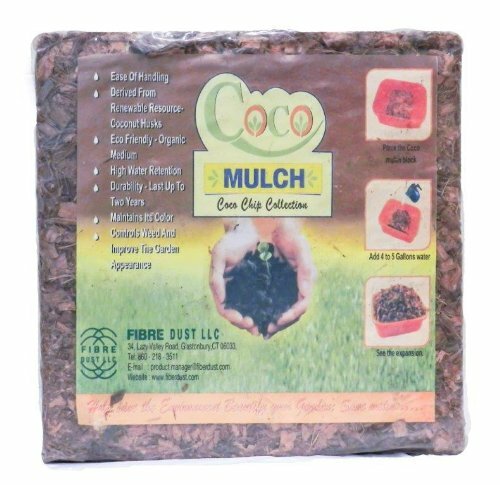 By now you’re probably saying, “Okay, so I can substitute coco peat for peat moss and coco chips for wood mulch. But why should I?” Let’s find out! Unlike peat, it’s a renewable resource that doesn’t take a century to form in a bog. 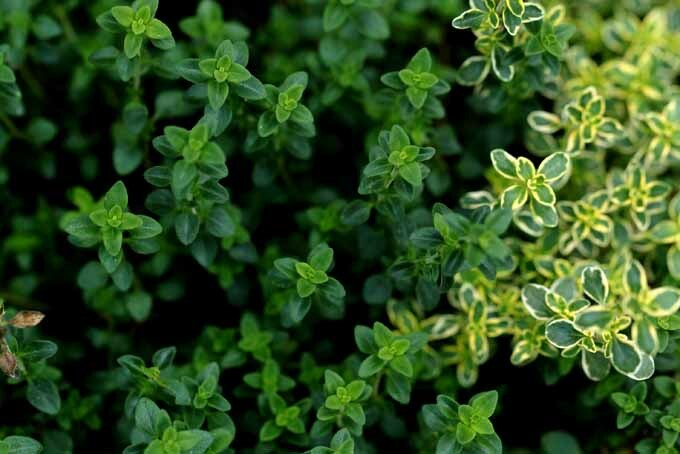 Adding it to soil is an excellent way to increase aeration, drainage, and water retention. The pH is almost neutral, ranging from just over 5 to just under 7, whereas peat is slightly more acidic. This means it’s a great base for all plants. Amend it as needed, for example, by adding compost to increase acidity, or lime to increase alkalinity. Unlike perlite and vermiculite, it’s biodegradable. 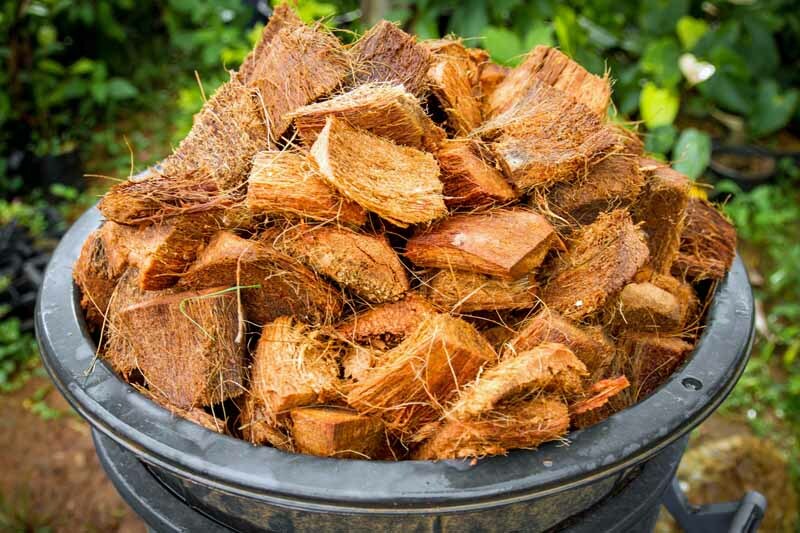 It contains a polymer called lignin that inhibits rotting, making it especially good for mulch. Good quality products contain no weed seeds, pests, or disease. 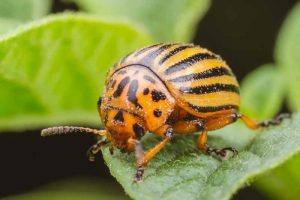 Product quality varies widely, and this may affect your garden. 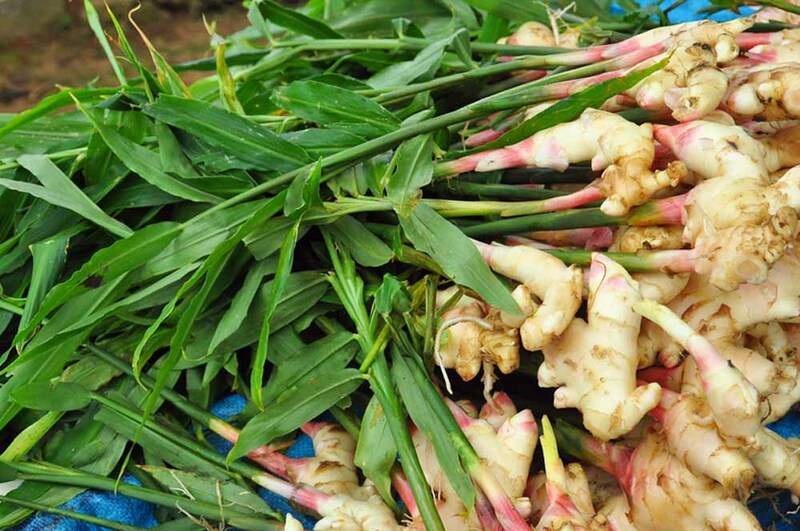 Inferior products may contain weeds, pests, and disease due to improper processing and storage. Some products may contain excess sodium due to processing in salt water, so you may want to rinse all products several times before use. 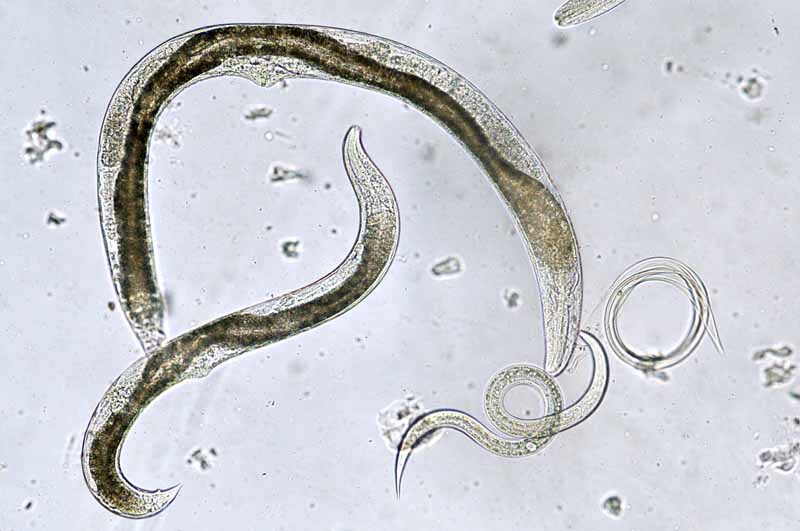 Improperly decomposed material may absorb nitrogen from fertilizers, depriving plants of this essential nutrient. Inferior products contain too much dust and decompose fast once in use. Inferior products also tend to contain materials of irregular texture. For example, chunky mulch mixed in with smooth coco peat. Coconut husks contain almost zero nutrients, so unless you buy a product that has been enriched, you will have to add fertilizer. 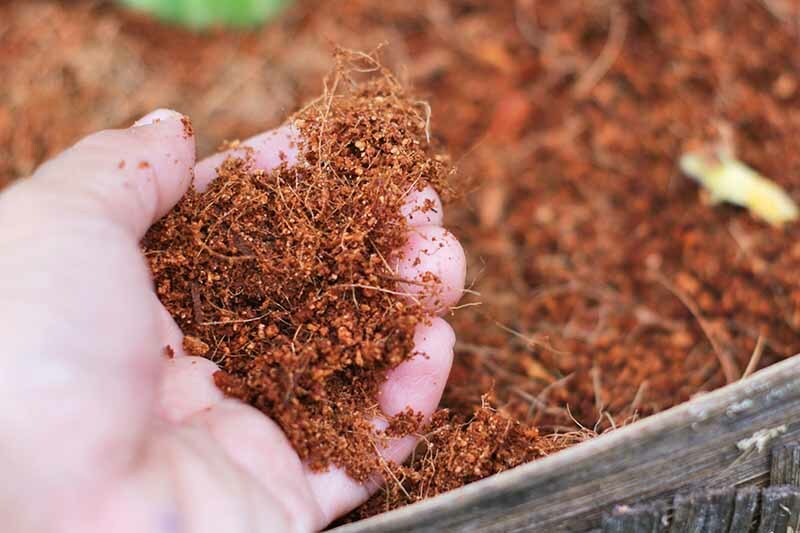 Unlike soil, which teems with life, coir has a very low nutrient content. 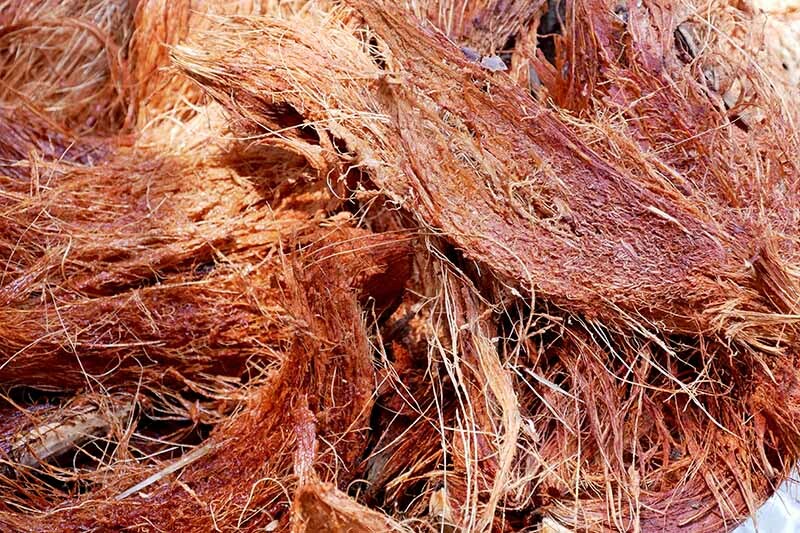 A study conducted at Utah State University concluded that coco peat was an inferior substitute for sphagnum peat moss as a soilless medium. The cost may exceed that of peat or vermiculite products. 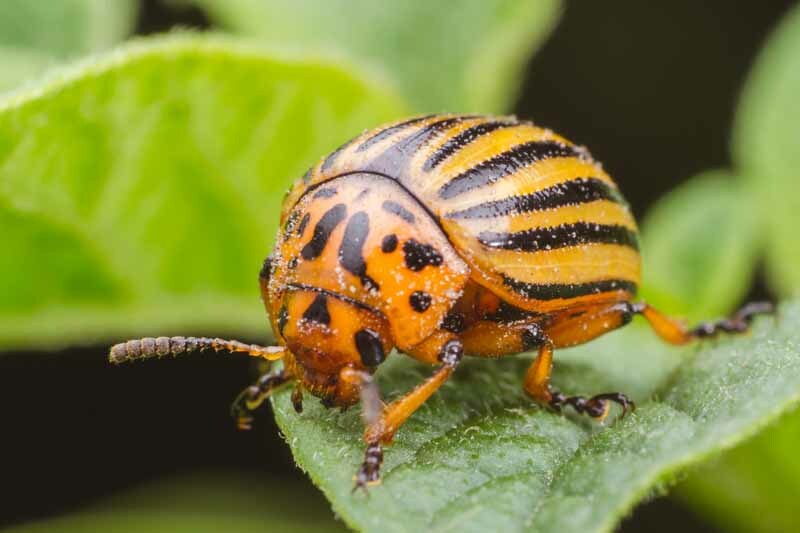 Treated products may contain chemical residues that may adversely affect plants. Products should not be reused because they may harbor disease. Compressed products require hydration before use. 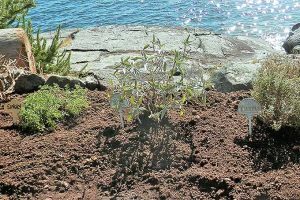 As a soilless growing medium, good quality coir offers little trouble in the way of weeds, pests, and disease, while delivering excellent water retention, drainage, and aeration. 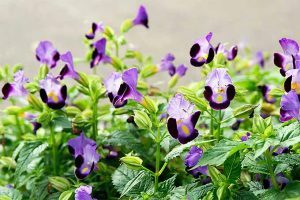 I like it best in containers that tend to dry out and can use a hand with staying moist. I also feel good not depleting peat bogs by using a readily available material. Why not try a product or two, and see what you think? 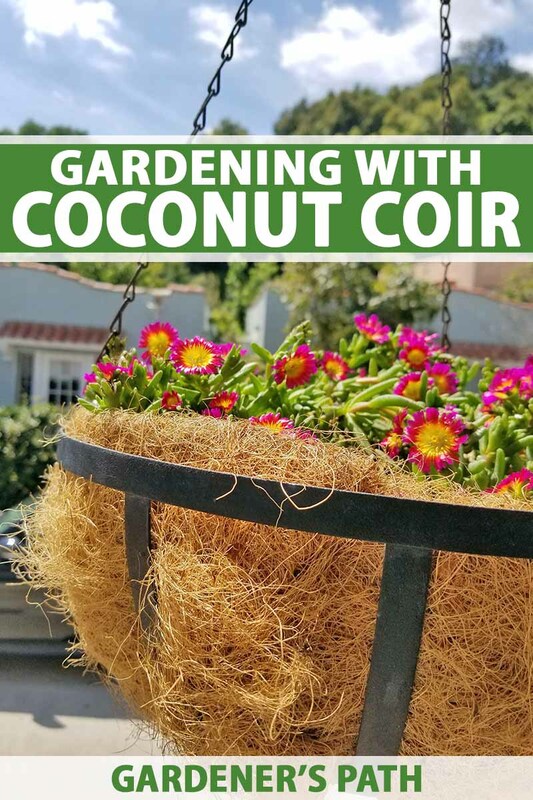 Now when you see horticultural products made of coconut husks, you’ll know how to evaluate their potential use in your gardens and containers, as well as how to spot quality. 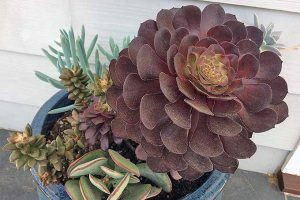 Deal with reputable companies, consider rinsing products several times before use to remove excess salt, and supply nutrients to your plants as needed. Consider the array of available coir products for projects such as cultivating mushrooms and raising your own worms. 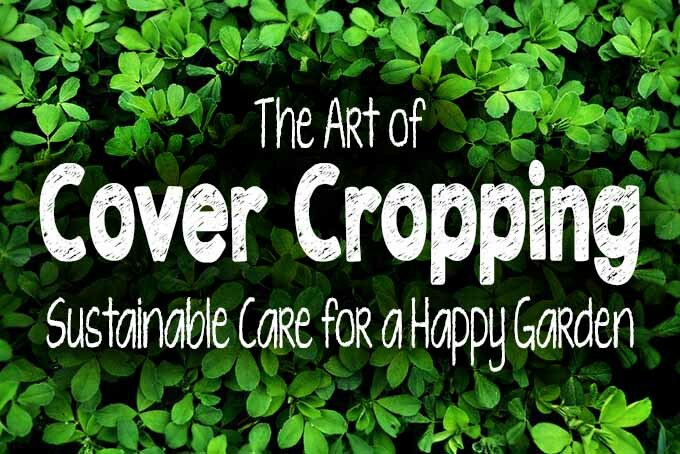 If you’re interested in sustainable gardening practices, you may enjoy learning about the art of cover cropping, and don’t miss our review of a book on native trees and shrubs for the Eastern United States. 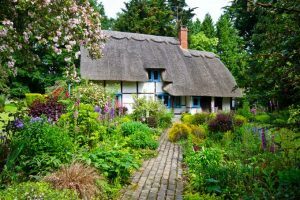 What will you use coir for in your garden? Let us know in the comments below! Photos by Allison Sidhu © Ask the Experts, LLC. ALL RIGHTS RESERVED. See our TOS for more details. Product photos via Burpee, True Leaf Market, Fibre Dust, Panacea Products, G-LEAF, Clovers Garden, GardenBasix, and House & Garden. Uncredited photos: Shutterstock.